Pop Culture Junk Mail: Lip Lickers designer heard from! Lip Lickers designer heard from! I posted about them in 2006, and just this week, one of the people who designed those beloved tins posted on PCJM! I'm quoting his comment here so it will be seen by more people. Thank you, Joel! What a great peek inside the history of one of my favorite retro products! 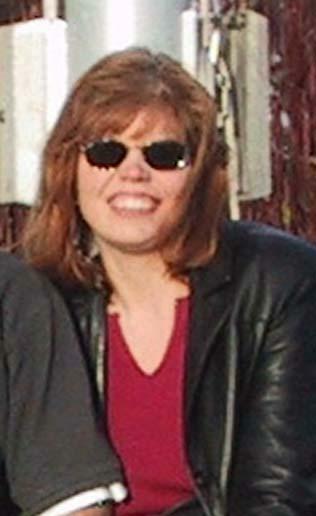 "I was one of the two graphic designers who worked on the tin designs. Sadly, I left them for what seemed at the time a better opportunity. They were a great company in their diversity of products. When we changed our name to Minnetonka, Inc. is was to look like a much more diversified company as we gained product lines. One was Calvin Klein Cosmetics we purchased from him. He retained creative overview, but one product that became real famous that i designed the logo for was Obsession. Too bad I wasn't a freelancer at the time. I could have retired by the early 90's. I designed the logo in 1979 after Bob Taylor (President) came to me to see if I could come up with logo ideas for the brand, because Calvin wasn't excited about the New York effort he had been getting. It really didn't mean anything at the time, because it was at the product's inception without any correlating advertising. Yes I sure miss those days. 3 of us over lunch went to a local flower shop in Chaska, MN and just after we walked in the door the owner asked us if we worked at Minnetonka, Inc. We asked how he knew, and he said the smells from our clothes were so strong, he just knew. As time went by our art department grew with a plethora of great talent, who eventually all had to go our separate ways. It was a private company which eventually went public. Thanks for bringing back the great memories. I.. comPLETEly forgot about those! THANK YOU so much for awaking that dormant part of my brain. Oh man those were popular in my elementary school. Seriously. 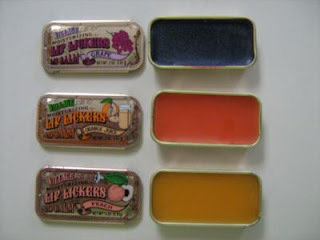 I still remember how the tins slid open and how the balm tasted and smelled. Loved them! I really wish I knew where mine was. My sister and I had the pineapple/coconut and I would do anything to find it or be able to buy another one! Have you seen Tinte cosmetics? They have a product that is quite similar. Wish they still sold lip lickers!!! Loved that lip balm!!! I think kids now would too!! I was totally shocked when they went off the market!!! Ashley, thank you for the info! Thanks for the info. Forgot all about them till someone posted on fb about them. My family owned a KOA Campground in Colorado when I was younger and sold the lip balm. I thought the tins were sooo freakin cool!